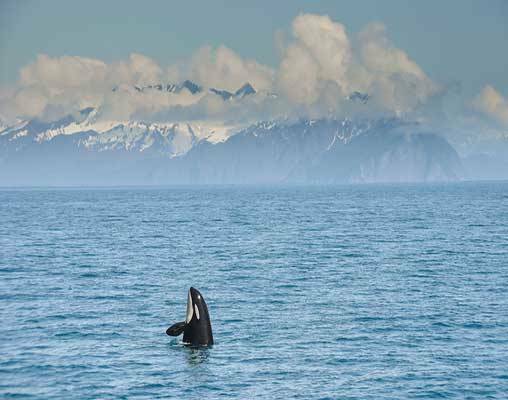 Bears and moose, whales and seals: There is no need to leave the United States to embark on a fantastic wildlife safari, thanks to this 8-day Alaskan adventure. A round-trip journey from Anchorage, this unbelievable tour takes you on a true wildlife safari without having to stamp your passport. You will see animals in their natural habitats, visit sled dogs at their home, ride aboard three of the Alaska Railroad’s most popular branch lines and fly into a remote destination to see some of Alaska’s giant bears roaming about. 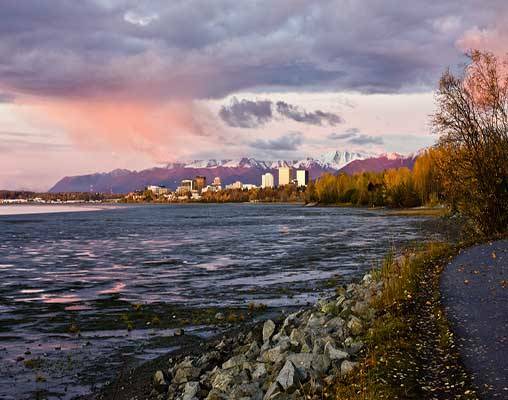 This tour begins in Anchorage, where you have ample time to sightsee, explore and acquaint yourself with Alaska before setting out on the Denali Star bound for Denali National Park. In the park, you will visit the Husky Homestead Kennel and see plenty of Dall sheep, moose and other species roaming about as you make your way through the park. From Denali, you will ride the Denali Star back to Anchorage, then the Glacier Discovery Train to Portage, where the Wildlife Conservation Center is the next place you will experience Alaska’s wildlife. 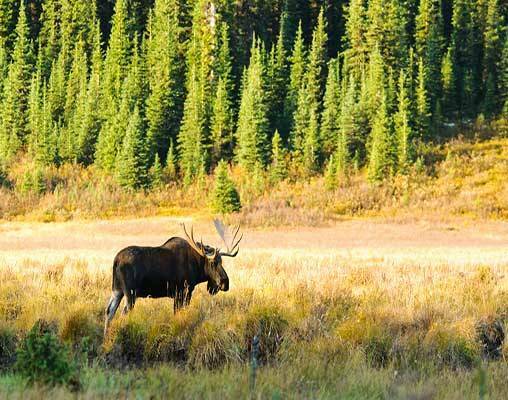 Animals such as black and brown bears, wolves, lynx, moose, elk, caribou, porcupines and eagles call this park home. 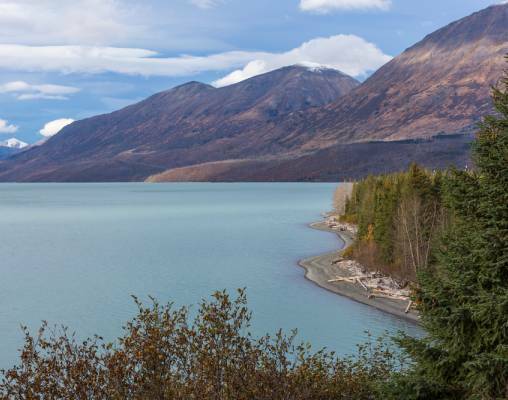 From Portage, the Coastal Classic Train takes you to Kenai Fjords National Park - a place where marine life swims amongst icebergs, fjords and glaciers. Here, you will see humpback whales and orcas, seals and sea lions, otters, seabirds and so much more. The final leg of your trip takes you back to Anchorage and then out to Redoubt Bay by floatplane for guided bear viewing. This adventure is full of amazing sights and unique experiences that you will not soon forget. Arrive in Anchorage, Alaska's largest city. Book an excursion or explore shops, museums, and restaurants at your leisure. Overnight Anchorage. Travel north on the Denali Star Train to Denali National Park. Upon arrival, visit the Husky Homestead kennel to get an in-depth look at what it takes to win the Iditarod Sled Dog Race - and get a chance to cuddle a sled dog puppy. Overnight Denali. Embark on a full-day journey along the 92-mile Denali Park Road. Your experienced guide will keep you informed and on the lookout for bears, moose, caribou, Dall sheep and more. Enjoy lunch in the heart of the Park before making the return journey. Overnight Denali. The morning is yours to explore in Denali. That afternoon, take the Denali Star Train south to Anchorage. Overnight Anchorage. 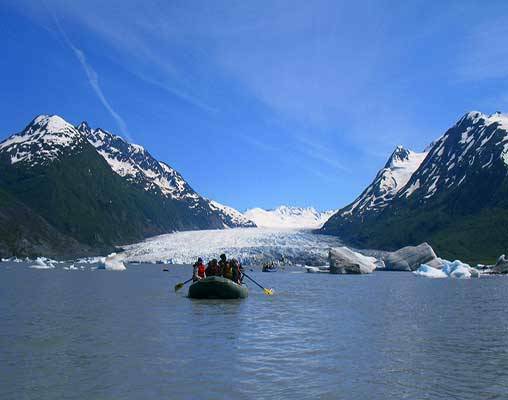 Ride the Glacier Discovery Train along scenic Turnagain Arm to Portage, where you'll disembark to visit the Alaska Wildlife Conservation Center. Re-board the train and continue on to the Spencer Glacier, where you'll enjoy an adventurous afternoon of rafting amid glacial icebergs. Overnight Hotel Alyeska. 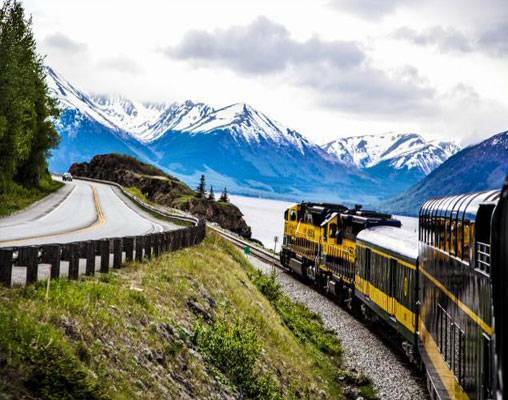 Board the Coastal Classic Train for Seward, gateway to Kenai Fjords National Park. Spend the day cruising the fjords, watching for humpback and orca whales, sea lions, otters and more. Return by rail to Anchorage. Overnight Anchorage. Depart from Lake Hood, the world's busiest floatplane airport, to Redoubt Bay, home of one of the most concentrated and viewable bear populations in Alaska. Enjoy a half-day of bear viewing with your experienced naturalist guide before returning to Anchorage. Overnight Anchorage. Your Alaskan adventures concludes upon check out of your hotel this morning. 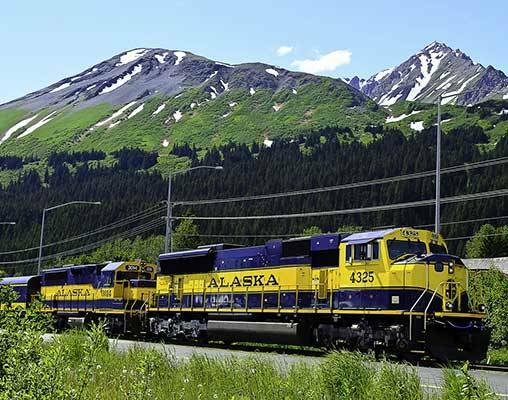 The Alaska Railroad extends from Seward and Whittier, in the south of the state in Alaska, to Fairbanks, and beyond to Eielson Air Force Base and Fort Wainwright. It carries both freight and passengers throughout its system. The Railroad has a mainline over 760 km and is well over 800km including the secondary branch lines and siding tracks. Enter your details below if you would like to be notified when 2020 dates and prices are available for Alaska Wildlife Safari.